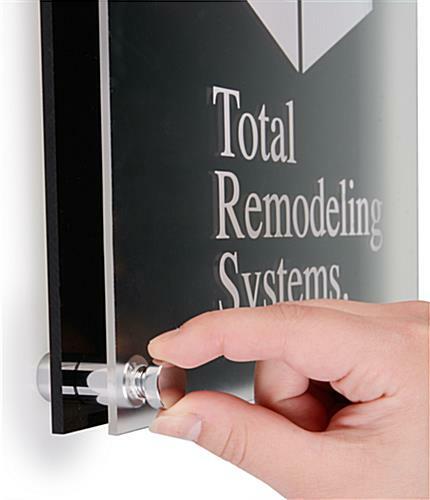 This sign spacer is perfect for adding a bit of professional detail to your office signage! 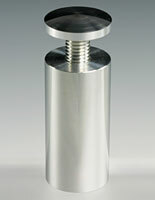 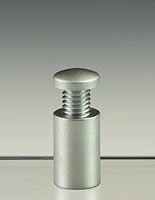 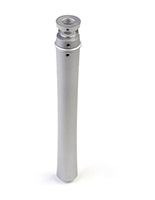 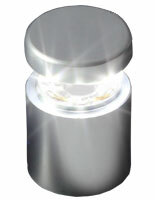 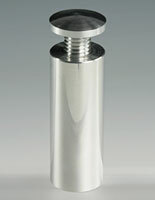 The silver aluminum standoffs are designed to appear as a 3D unit. 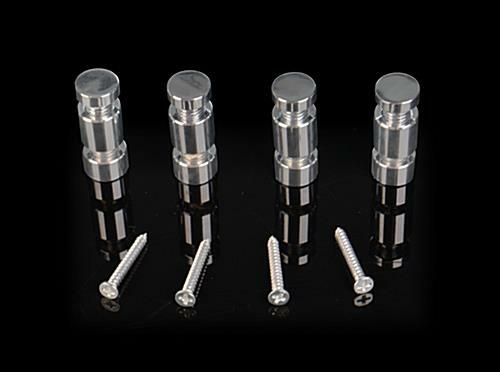 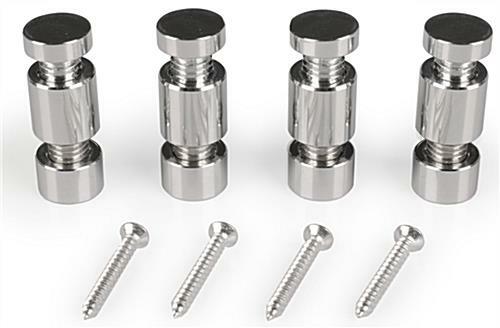 Each chrome spacer is sold is a set of four. 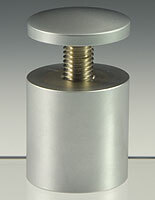 The through standoffs are able to hold two pieces of signage at once and be compatible with metal or plastic plates. 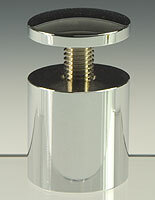 The spacers are perfect for any setting and blend with various decor. 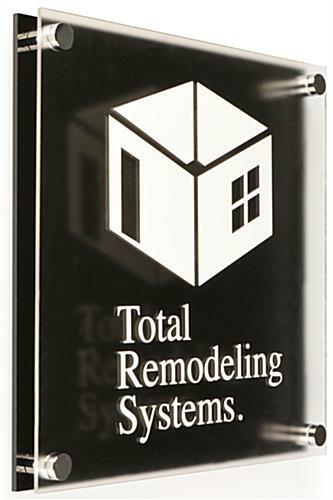 Order for your new business or office space today at wholesale prices!